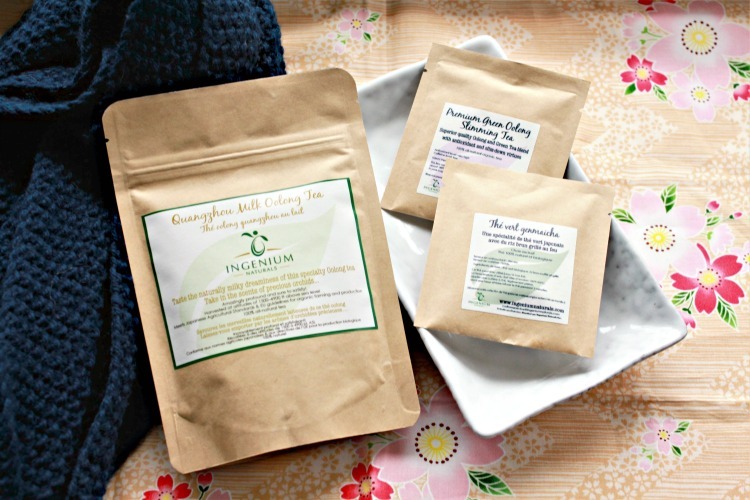 I love trying out natural skincare products. I'm sure it's totally a marketing gimmick, but using natural products just feels so much better doesn't it? However, do they always work as well? Well today I'm putting one all natural skincare line to the test! A few months ago I was contacted by the Quebecois brand, Soins de Jacynthe to try out some of their best-selling products. Founded by actress, activist and lifestyle guru Jacynthe Rene, Soins de Jacynthe is a 100% natural beauty line consisting of your usual cleansers, serums, creams, essential oils and soaps. What's really interesting is that not only does Jacynthe emphasize natural beauty, she also emphasizes that holistic approach in all aspects of life, as evidenced by her online magazine. There you can find tips and tricks on how to eat better, live a fuller life and of course purchase her products! To try out the line, I was sent three of their best-selling products to try: the Floral Water Toner, the Cleansing Oil and Jacynthe's Serum. What it is: A refreshing floral water spray containing neroli and orange blossom. This soothing spray invigorates and hydrates skin while tightening pores. What's in it: No ingredients were listed online. My take: I'm new to toner mists and facial mists in general so it took a little getting used to, but I quite like this one. The smell is fresh and light with just a hint of orange to it. I like to douse my face with a good 3-4 sprays, which leaves my face feeling very hydrated and comfortable. I use this after cleansing and before applying any other products. Since I am being quite liberal with my application, I have to usually do a bunch of hand-waving to get my face dry before I can apply anything else on top. I don't think there's anything in this spray that would help to set makeup, but I think if you sprayed it from far enough away and just once or twice, you could use this as a pick-me-up to refresh tired makeup or to make powdery makeup melt into skin. What it is: A gentle cleansing oil designed to remove dirt, impurities and makeup while also containing rich antioxidants to help condition skin. This cleansing oil is also recommended for acne-prone skin as it claims to help reduce sebum production. Jojoba - a wonder ingredient that helps moisturize, protect and repair skin. It is non-comedogenic, helps fight redness, is non-irritating, and can help your skin fight sun damage! Sea buckthorn oil - an emollient with some antioxidant capabilities. Bourbon - a most unusual ingredient, but apparently good at oil control! My take: The Jacynthe Cleansing Oil comes in a large glass bottle with a dropper dispenser. To clean off a full face of makeup (foundation, mascara, eyeshadow, liner, lipstick and brow pencil) I like to use 2 full sized droppers; this usually is enough to still hold in my small palm. This cleansing oil has a slight, medicinal/herbal smell that is not uncommon to "natural" products, and has a thicker consistency compared to other cleansing oils I've tried. I'd say the Jacynthe Cleansing Oil has a viscosity similar to the DHC cleansing oil, but with less slipperiness to it. I like to apply this to a dry face with slightly damp palms. Unlike most cleansing oils, the Jacynthe oil doesn't emulsify. It's literally as if you took a bunch of oils and massaged it onto your face. While I really like the ingredients in this oil, I don't find it to be an effective makeup remover for me. Sure, it does breakdown my makeup somewhat and does a pretty good job at removing mascara, which is often the toughest thing to remove, but it does a poor job at removing foundation. It's also really hard to rinse off as it doesn't emulsify. If you use this one, I would recommend following it up with a strong, soapy or foam cleanser. A creamy or milky one won't be strong enough to wash through the oily layer of this cleansing oil plus remove anything leftover in terms of dirt and makeup. And then I'd recommend a good toner afterwards as well to remove any last vestiges of dirt. While it doesn't work well at cleansing for me, I do like how it softens my skin and makes it feels very conditioned and it's great for a good facial massage. I think I'll continue using this as a morning cleanser and keep to my regular cleansing oils at night. What it is: A rejuvenating and restorative night serum designed to target signs of aging and restore the skin to a youthful glow. This serum can be used by all skin types except acne prone. Borage - an emollient with significant anti-inflammatory properties and is commonly used to fight eczema. It also helps restore skin's elasticity. My take: I would say this serum is very similar to my beloved Odylique Superfruit Concentrate Oil as both contain similar ingredients such as sea buckthorn, rosehip and rosemary oils, they both are a bright orange color and both feel more like a thick oil as opposed to a watery serum. Jacynthe's Serum though feels slightly thicker and has a much oilier consistency that sits more on top of my skin instead of being readily absorbed like the Superfruit Concentrate Oil (this could be due to the latter containing jojoba oil, which is readily absorbed by skin). As such, I prefer to use the Jacynthe Serum as more of a facial oil instead and it is the last step in my nightly routine. As a facial oil, Jacynthe's Serum spreads easily over my skin and leaves it feeling protected and hydrated. It takes a few minutes for this one to absorb like any oil and definitely less is more! The first time I used this oil, I used way too much and my face felt like an oil slick all night. 1-2 drops is definitely sufficient to cover my face. Since using this serum, my skin definitely feels comforted, softer and more even. Although it doesn't topple the Odylique serum for me, I'd say I do prefer this over other facial oils I've tried such as the Clinique Turnaround Revitalizing Treatment Oil due to its lack of fillers and high amount of anti-inflammatory and antioxidant ingredients. Does that make it worth twice the price though? I'm not sure, but if you're willing to pay more to support natural, Canadian brands then maybe it is! Overall I was fairly pleased with my results using the Soins de Jacynthe line. If you're interested in using high quality, all natural products, then this is a line you need to try. The only things I'd warn is that although these are just as good as their non-natural counterparts (with an exception to the cleansing oil), you are paying a premium for supporting a smaller, all natural brand. As well, the scents of these products is decidedly au naturel, so they may be a bit off-putting if you're more used to more generic floral skincare scents. Personally, I would only repurchase the cleansing oil. Although I did mark this one as a Ditch, I only did so because it didn't work as advertised for me, which is as a cleansing oil, but I do think it would make a lovely morning cleanser and the price and ingredients is good enough for me to consider using it again for that purpose.